Multi-Level fully pneumatic fixtures provide the broadest array of in-circuit testing options, allowing powered, non-powered and functional tests to be performed. Often, active component cooling is required during functional testing and Vortex cooling is suited for this style fixture. 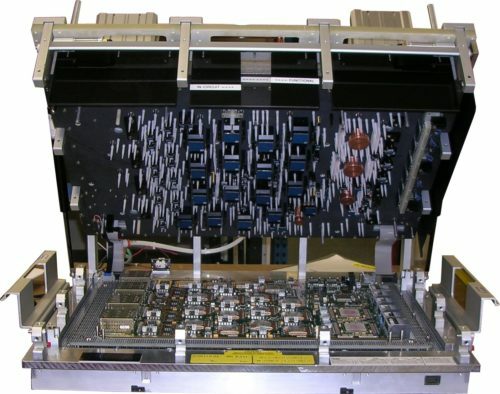 Additional testing can be achieved with insertion of interposer cards into connectors for through connector testing. Conventional probe spacing of 100 – 39mil and socket-less spacing of 75 – 31mil. Dual Stage fixturing designed specifically for dual sided, dual stage powered and non-powered testing. Vacuum actuated with pneumatically controlled leveling. 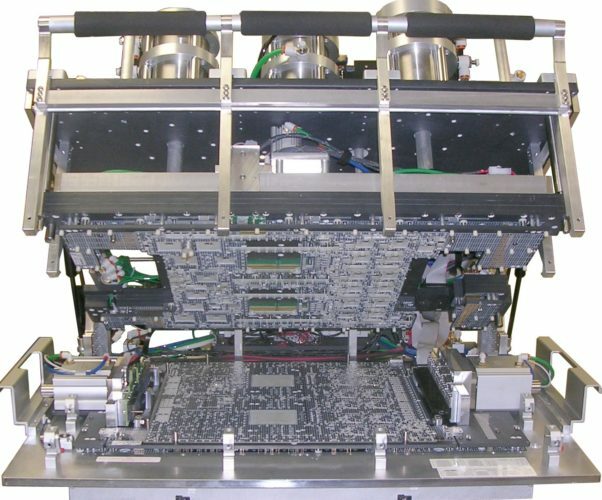 This unique design keeps the UUT under vacuum in both stages not exposing it to sudden strain events between the test stages. Conventional probe spacing is 100 – 39mil and socket spacing is less than 75– 31mil. Our original vacuum dual stage fixture is for traditional in-circuit and functional testing on both surfaces of the UUT. The design uses the tester’s two vacuum ports to independently control the fixtures’ two stages and can accommodate up to 400 long stroke probes and 3000 short stroke probes. Conventional probe spacing is 100 – 39mil and socket spacing is less than 75 – 31mil.